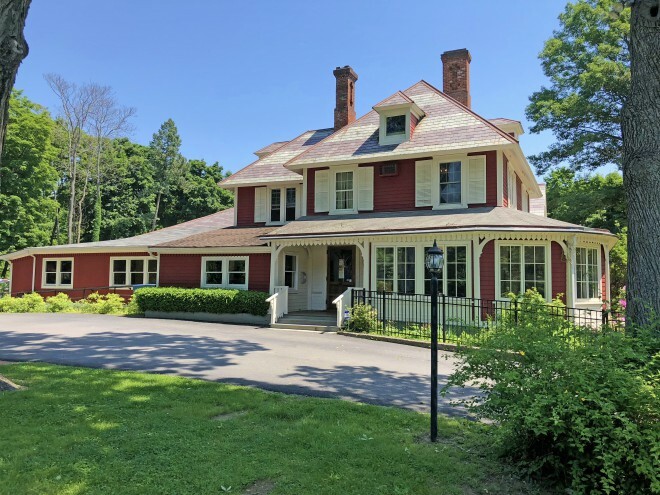 Nestled in the quaint village of Cold Spring, the Manitou School is located at The Plumbush House, which was built in 1867 by Robert Parker Parrot. Listed in the National Register of Historic Places, The Plumbush House was designed by George Harney, incorporating the ideas of renowned landscape architect Andrew Jackson Downing. Five acres of rolling hills and gardens surround our schoolhouse. With over 14,000 square feet, the building and grounds provide multiple spaces where children can explore and learn. 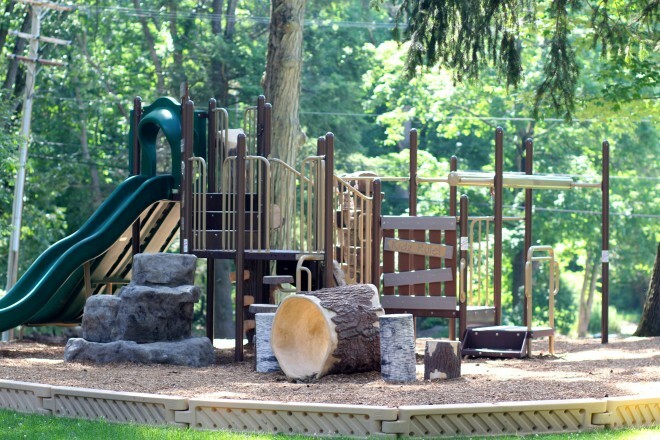 Our new, state-of-the-art playground has been designed with the latest safety and technology available. The Nu Edge design by Little Tikes blends urban and rustic features to create an exciting set of challenges, allowing children to play and explore in a natural environment while maximizing their safety. Our gorgeous campus provides a place where children can learn and grow every day, no matter what the time of year.